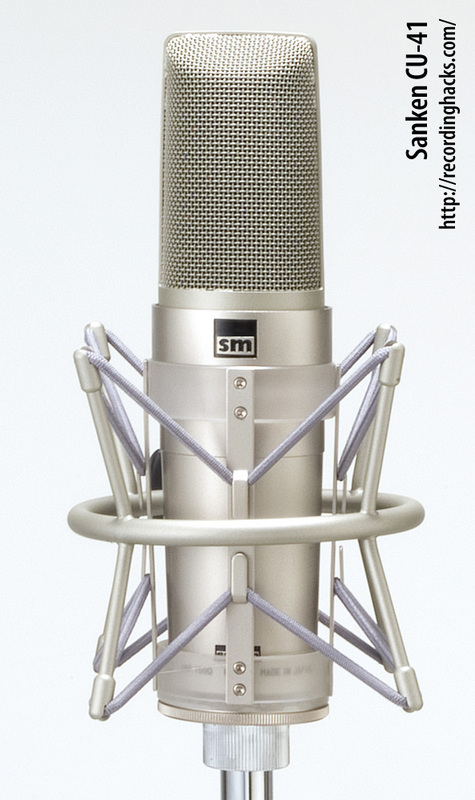 The CU-41 is a unique dual-capsule condenser microphone designed for accurate and neutral sound reproduction. It was developed by Sanken and NHK, the Japanese Broadcasting Corporation, between 1979 and 1982. The mic is one of a very few “two-way” condensers ever made. It has two separate capsules, each optimized for different frequency ranges. A small-diameter capsule, mounted near the top of the headbasket, picks up high-frequency information, while a large-diaphragm capsule carries low to mid frequencies. The output of the two capsules is mixed into a single mono output with a flat and extended frequency response. The crossover point is at 1kHz. Detailed capsule size specifications are not available at this time, although Sanken has published a description of the diaphragms: both are 1-micron titanium. 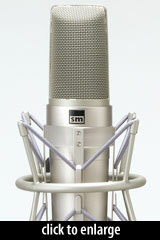 This composition makes the mic less susceptible to sonic changes due to temperature, humidity, or corrosion over time. 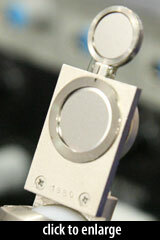 The mic’s frequency response is described as “totally flat” by Sanken. The published plot shows approximately 2dB of variation from 20Hz to 22kHz, a smooth dip of -5dB centered at 35Hz, and a slight rise beyond that. The CU-41 has a satin nickel finish. It ships with an elastic shockmount (Sanken p/n S-41) and a storage pouch. An optional aluminum flightcase (p/n TC-41) holds two CU-41 mics with a pair of S-41 shockmounts. Note that the CU-41 cannot be disassembled without a special tool. 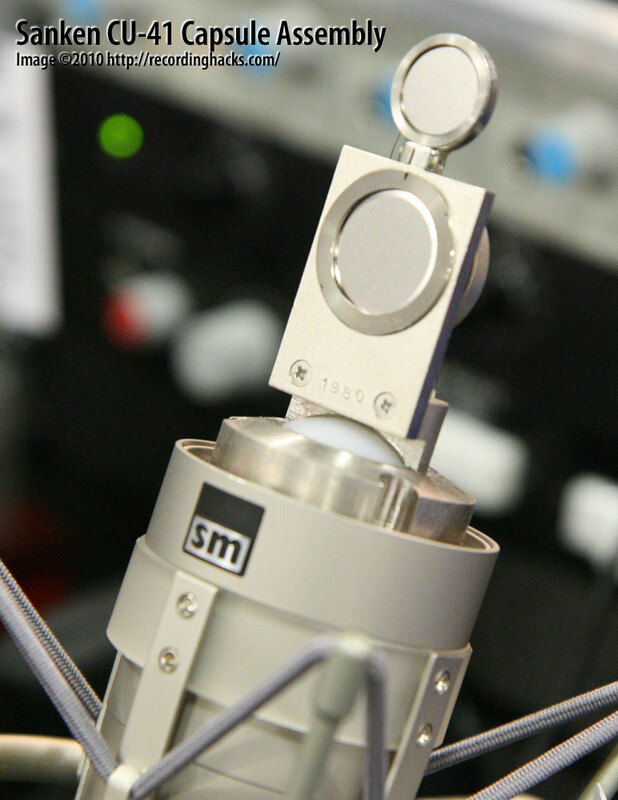 The Sanken Microphone Company, Ltd. CU-41 is also known as: CU41. The mic was released in 1982.